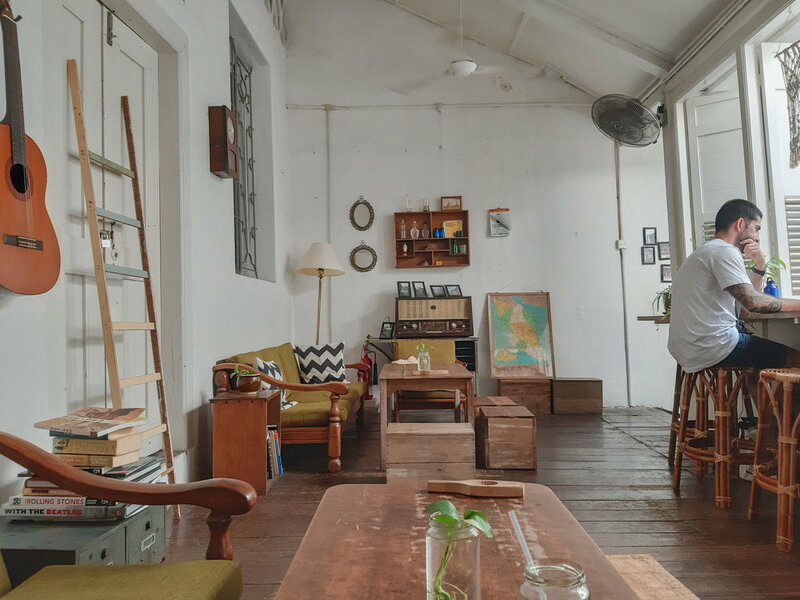 Here are our top suggestions for coffee shops in Malacca if you find yourself chasing for that sweet relief of air-con and a refreshing drink. 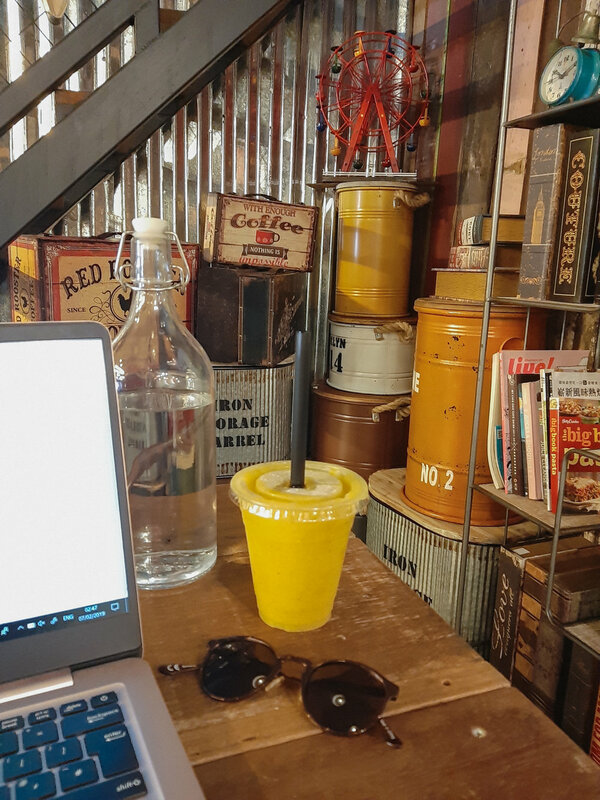 The Stolen Cup has put on a vintage twist to their interior, with a lot of random retro signs, but it has its own charm, a relaxed atmosphere and friendly, attentive staff. Their smoothies and cold pressed fruit juices are delicious and will give you that good sugar and vitamin boost but if you want something that comes with a bit of local speciality, you can order Gula Melaka coffee. Gula Melaka is sugar derived from the sap of coconut palm trees. In Melaka, and pretty much everywhere else where it’s available, you’ll see it being sold in markets or shops in neat cylinder blocks. They take the shape of bamboo moulds where the thick sugar syrup boiled down from the sap is poured into. Genuine, pure Gula Melaka has a bit of a smoky smell, its rich and unique in taste and can evoke hints of caramel, chocolate, coffee or a combination of all, depending on the way it’s processed. I certainly encourage to try it, especially when you’re in Melaka, where it’s said to originate from. Due to its location, just at the beginning of Jonker Street, The Stolen Cup can get a bit crowded after 10am (prime tourist time) so if you are planning to do some work on your laptop and getting a table with a charger plug next to it, try to get in earlier. The wi-fi is quite patchy and not very fast but if you’re working on something that doesn’t require watching YouTube videos or image heavy content, you’ll get by fine. Going to The Daily Fix can be a bit of a gamble as you might turn up and have to wait for a free table. Yes, this coffee shop is that much of a hotspot, so much that there’s a list and a waiting area. If you are not in a rush, it is worth the wait though – a chilled vibe, vintage inspired decor and coffee menu is on point. They also serve some items that are not widely available in other cafés in Malacca eg. rose petal latte and delicious looking pancakes. That being said, it is a very hipster/ western looking spot, which, for me, takes the magic away a little bit, with every corner styled to be an Insta photo opportunity which is why, I’m guessing, the huge demand. It can get a bit irritating when you have people constantly snapping around you but on the plus side, they definitely have the best wi-fi out of all coffee shops we’ve been to in Melaka. Located just off the busy hustle of Jonker Street, Calanthe Art Café turned out to be a personal favourite and also the go-to one if you want to a more authentic coffee experience. It is easy to spot due to the big sign outside that reads “Malaysia 13 states’ coffees” and yes, that’s their speciality. All of the ingredients from coffees of each state are very well specified on the menu so you don’t have to guess, and there are options to have it hot or cold, ice blended or even mix coffee beans from different states together. The local blend, Melaka coffee, is made with added sugar, salt and margarine. 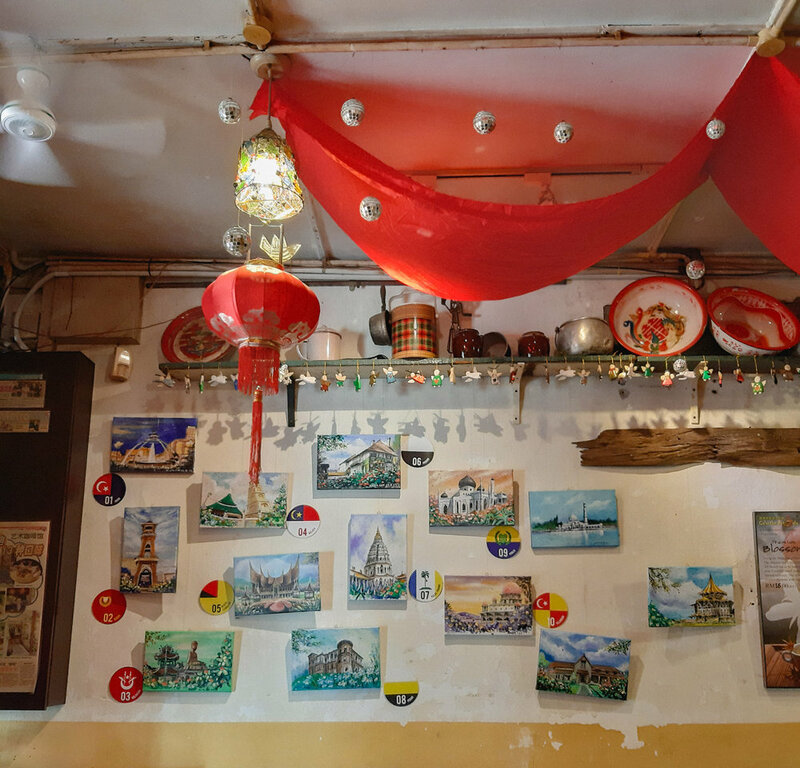 Apart from the extensive choice of coffee blends from all 13 states of Malaysia, you might also get overwhelmed by the amount of artwork covering the walls. It’s rustic and cosy, making you feel like you could spend hours sipping away. Wi-fi is slow and patchy, but luckily you have all of these different coffees to try so why not take a break!